It’s a beautiful day at the zoo, where learning can become ‘wild’. There’s so much to learn about the wildlife in this great country, so these students have a head start! 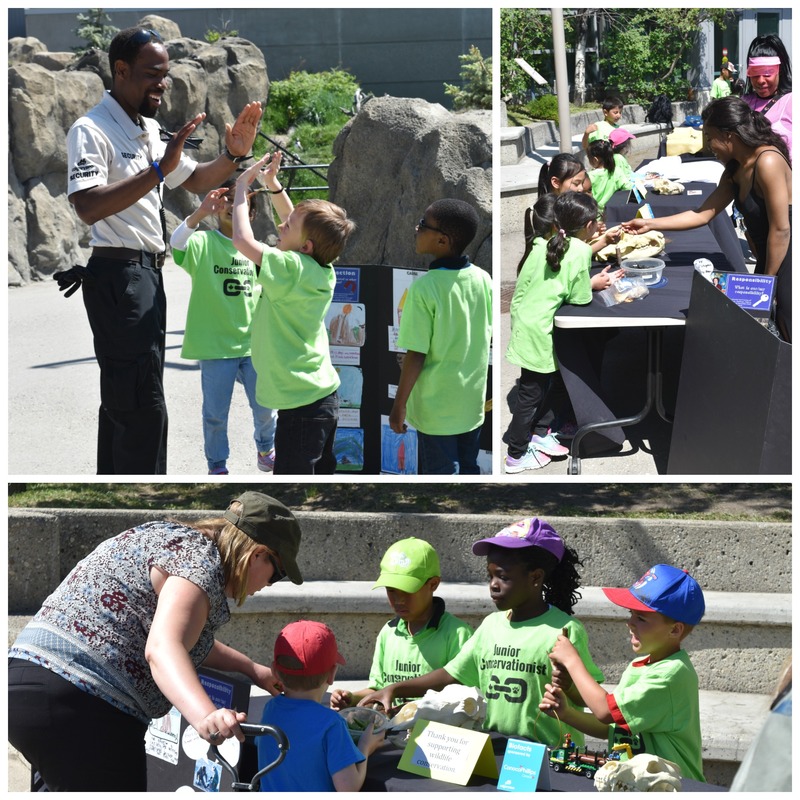 At the end of May, Grade One students from Colonel Sanders School became “junior conservationists” for the day, teaching visitors at the zoo about seven Canadian animals. Through a five-month project, students from four Grade One classes learned about the black-footed ferret, black-tailed prairie dog, grizzly bear, whooping crane, burrowing owl, caribou and bison. The Grade One students of Colonel Sanders School become young conservationists to educate zoo visitors. The students visited the Calgary Zoo back in January 2017 and participated in the educational program, Ferreting Out a Future, where they were introduced to different endangered animals and the importance of conservation. They continued exploring these themes back in school, and while learning how all living things are connected. Did you know that killing the black-tailed prairie dog as a pest can cause the black-footed ferret to struggle? Their main source of food is the prairie dog! 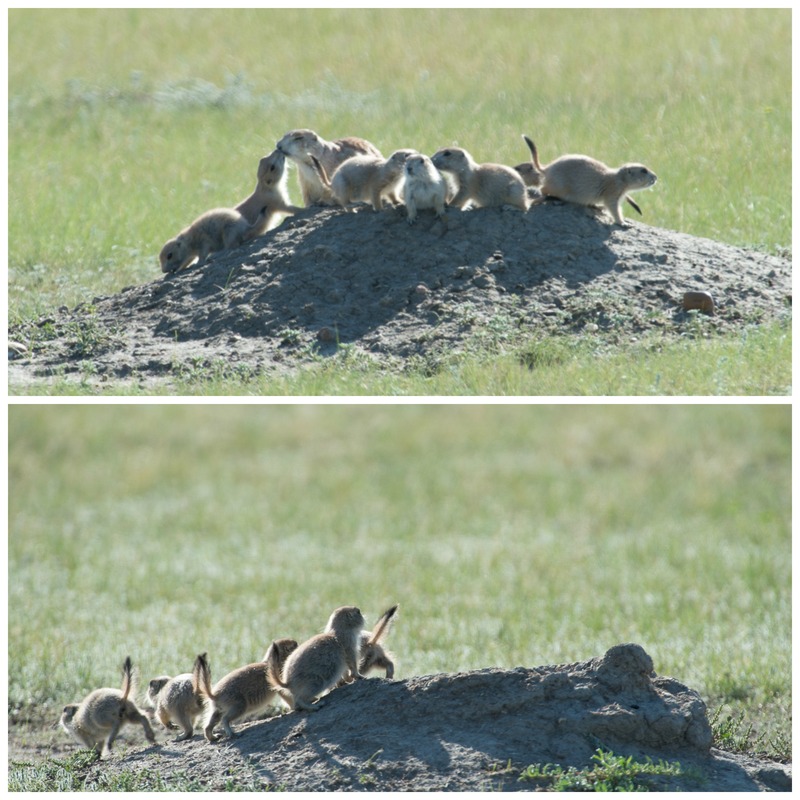 Black-tailed prairie dogs live in the same habitat as black-footed ferrets- and are the ferrets main source of food! The classes kept in contact with the zoo, through multiple skype sessions with the Education department, and visiting again in March to complete an Edu-Trek. This Canadian Wilds Safari introduced them to more Canadian animals, and the Grade One’s raced to the signs at each animal’s habitat to find out their conservation status. “I want to be a conservationist when I grow up” became a common phrase among many students. The lessons continued, and these young conservationists focused on responsibility, and what different people could do to support conservationism here in Canada. For example, they thought about how farmers could use natural pesticides, how loggers could cut down fewer trees in one location, how the government could make laws to protect animals and how they could help by teaching other people about what they had learned. Teach others they did! 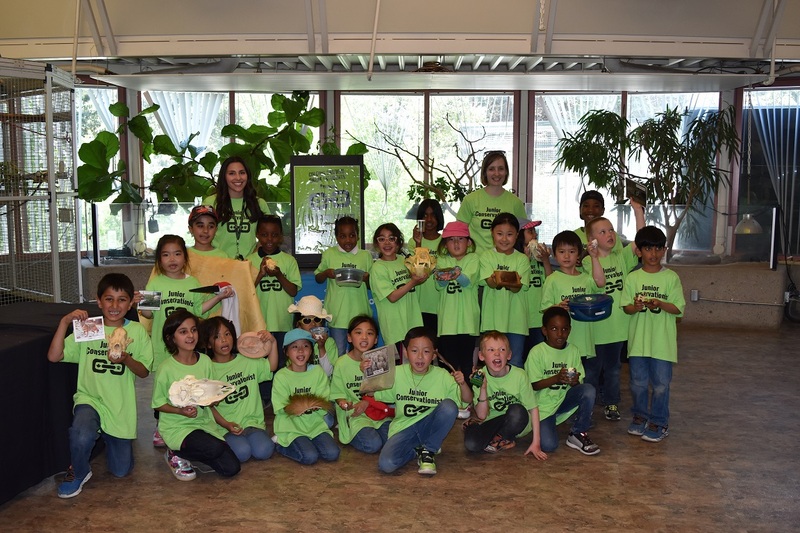 The student of Colonel Sanders school took their final trip to Calgary Zoo in May to put their knowledge to the test. 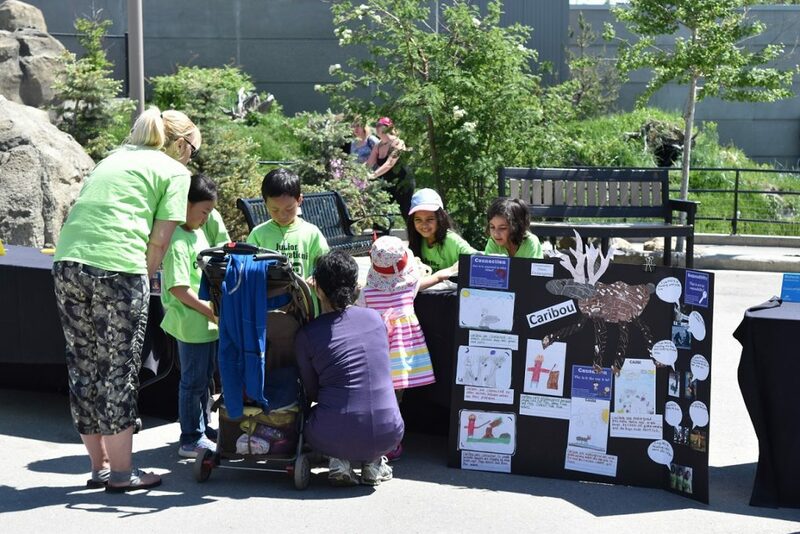 These animal lovers used zoo biofacts and their own handmade posters to engage zoo visitors about Canadian animals at risk. Teachers and zoo staff alike were very impressed with how well the students shared their knowledge with strangers, informing them about the caribou, bison, grizzly bear, burrowing owl, whooping crane, and black-tailed prairie dog. We hope this group of engaged Grade One children inspired others to learn more about what they can do to support conservation of wildlife. One student excitedly shared, “I spoke to ten people at the zoo. 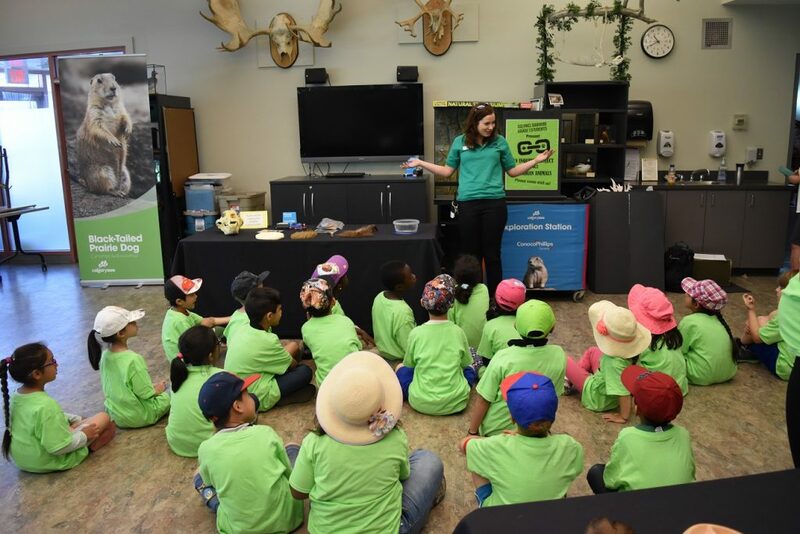 Now ten more people know that the caribou is endangered and that they can help!” Right now, these students are “junior conservationists,” but maybe someday they will grow up to join the forces of the conservationists at the Calgary Zoo to save a species. Thank you for supporting wildlife conservation Colonel Sanders School! Learn more about the Calgary Zoo’s educational programs, and how you can encourage your students to become young conservationists. Supporting the zoo helps to support animals, at home and around the world. 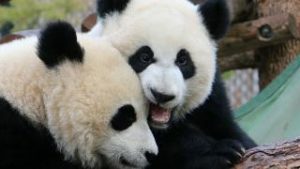 Help be a warrior for wildlife!